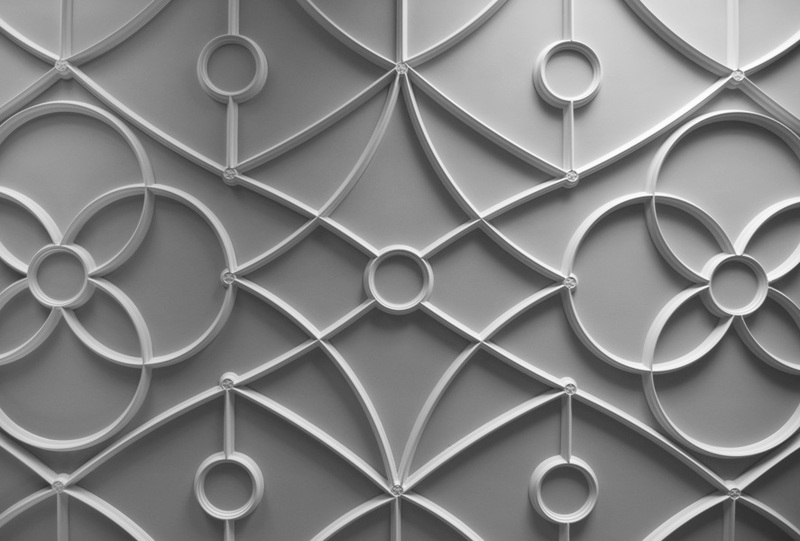 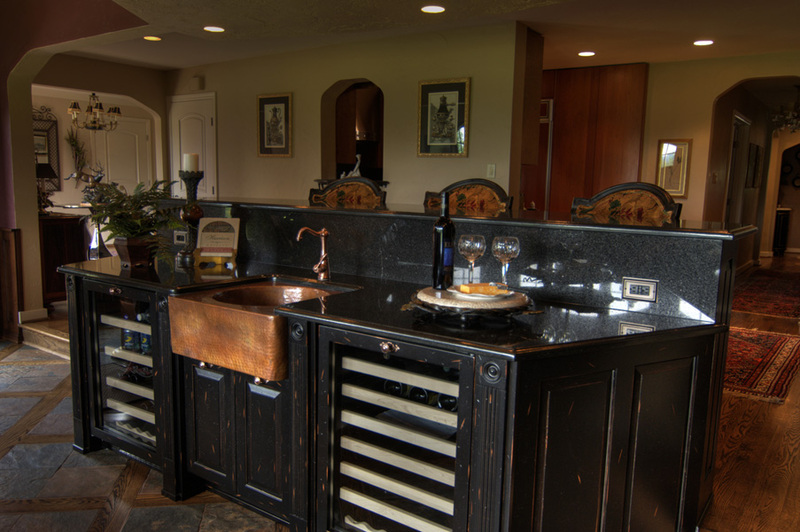 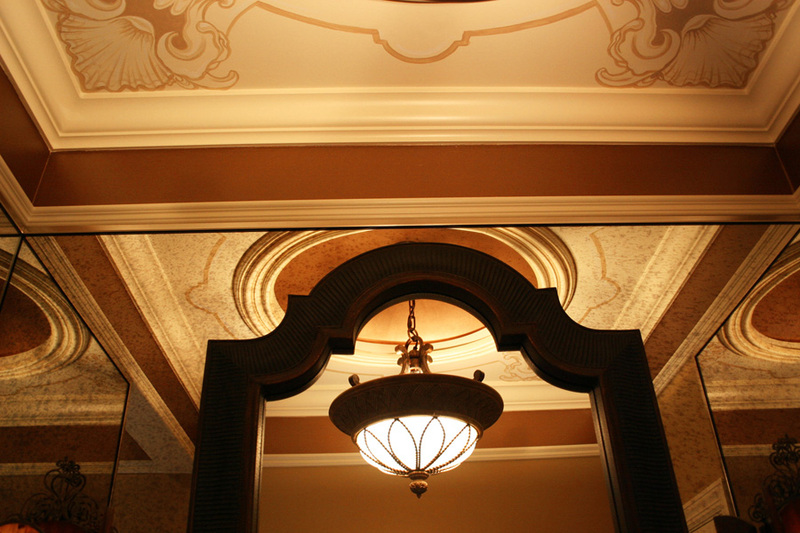 Residential and commercial design projects both require the ability to go beyond aesthetics. 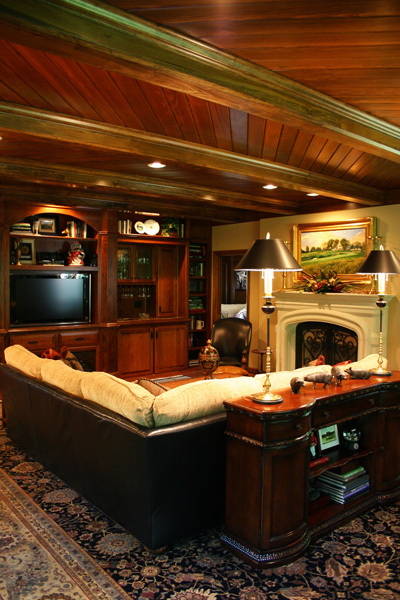 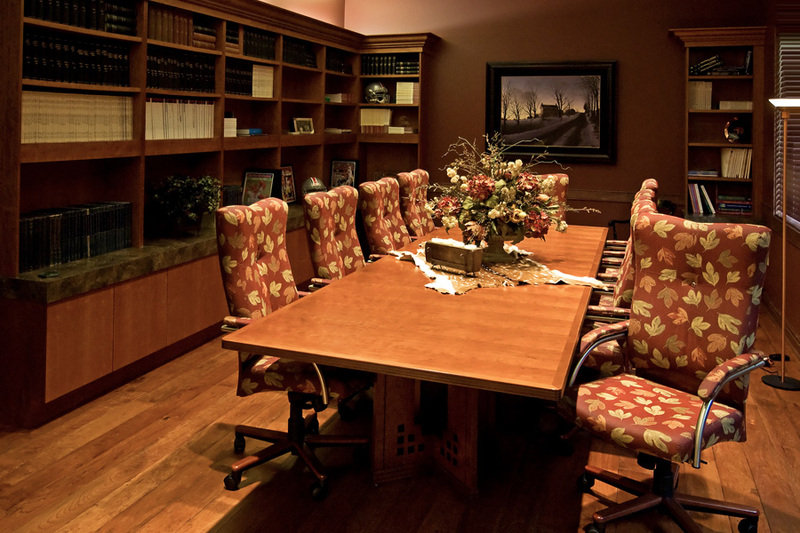 We use furniture, accessories, and lighting to harmonize comfort and efficiency in the space. 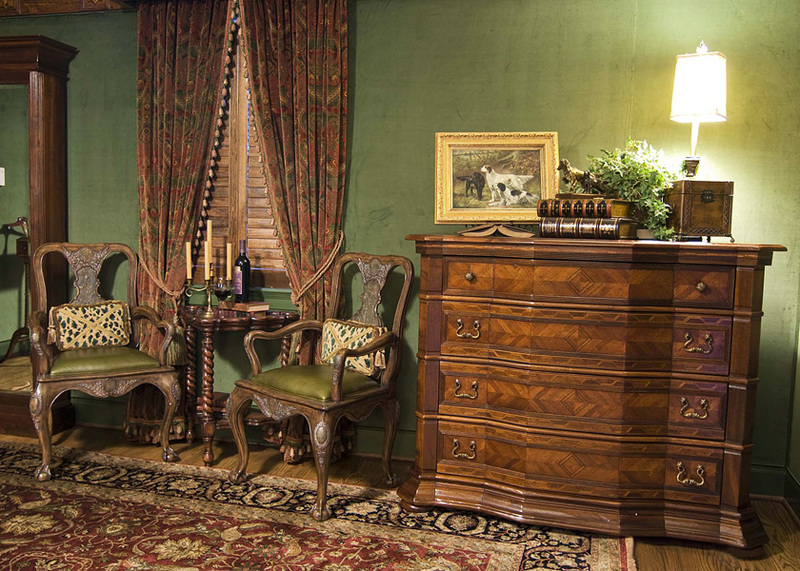 The Blind Side Home Furnishings interior designers have broad experience in home design and commercial interiors - from new construction and remodeling to hospitality and healthcare venue design. 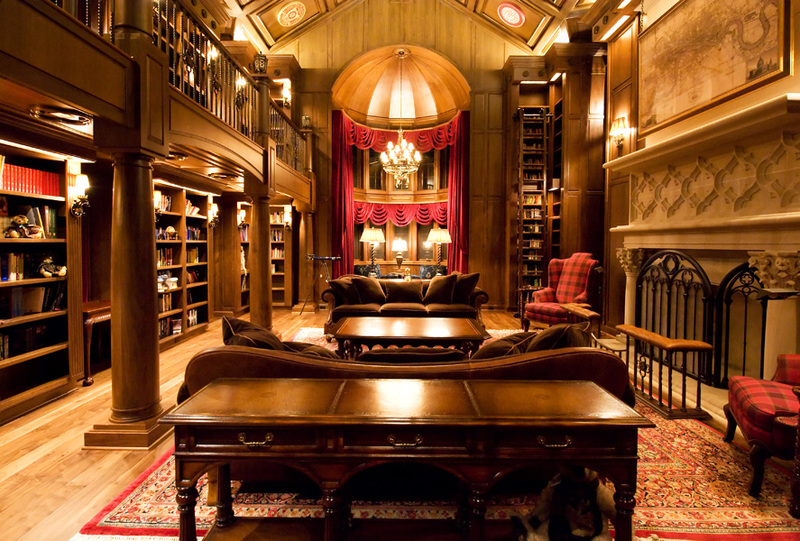 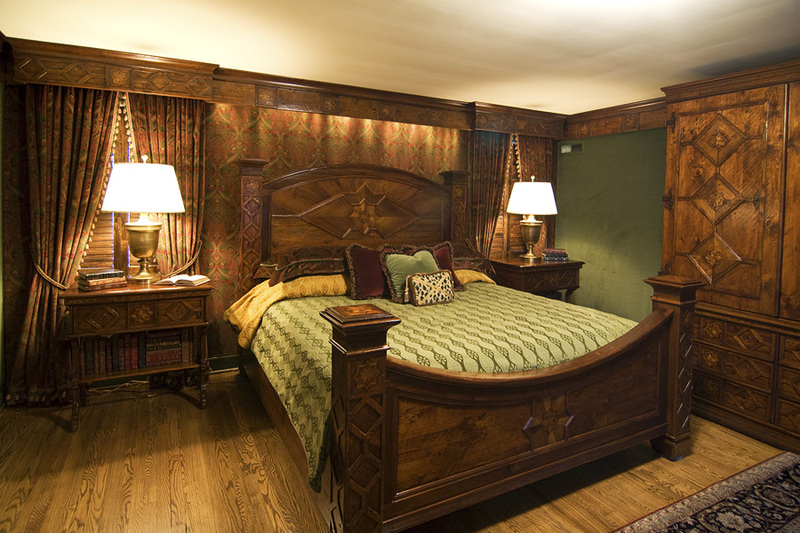 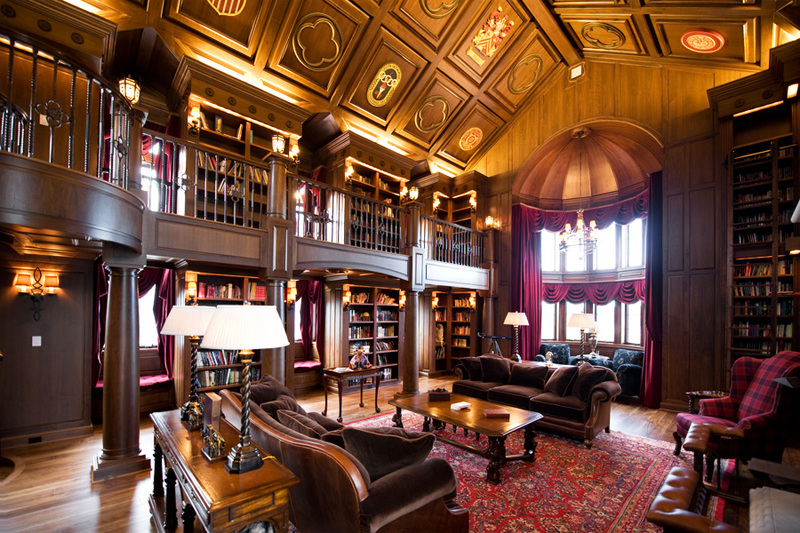 This country manor was designed with the client's love of everything "Old England" in mind. 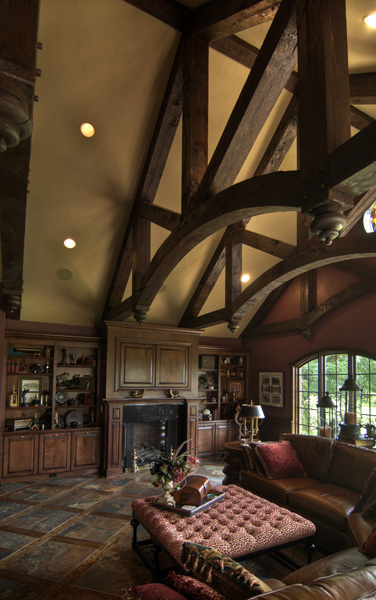 Attention to detail and extraordinary craftsmanship, as well as incorporating state-of-the-art amenities, were requirements to make this couple's dream home a reality. 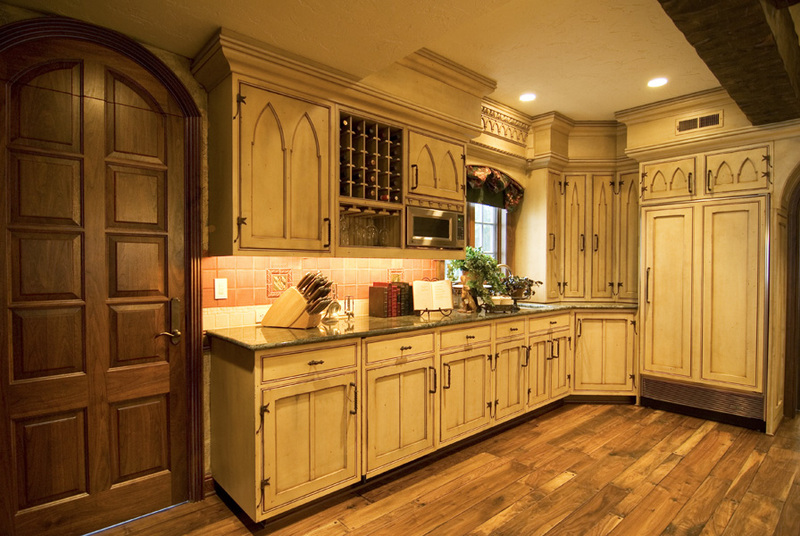 This room was remodeled from a smaller, closed-in original kitchen. 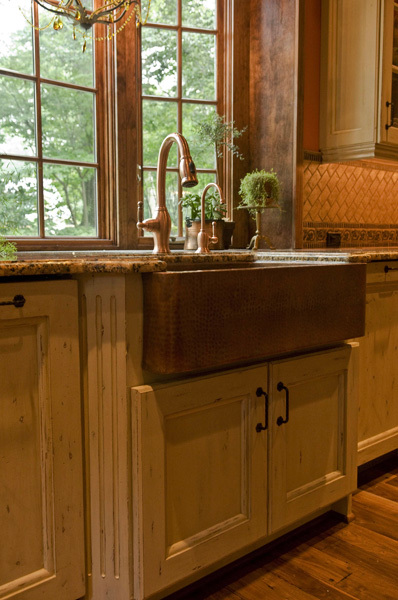 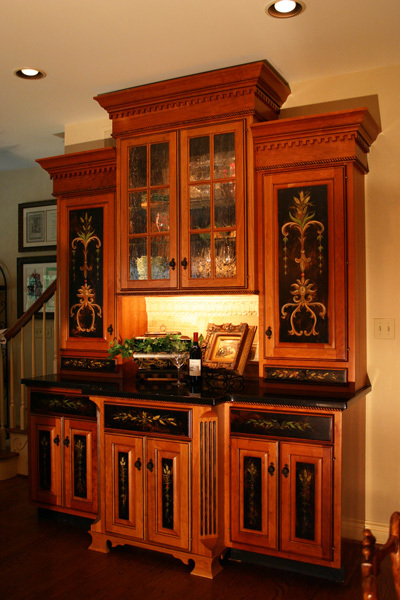 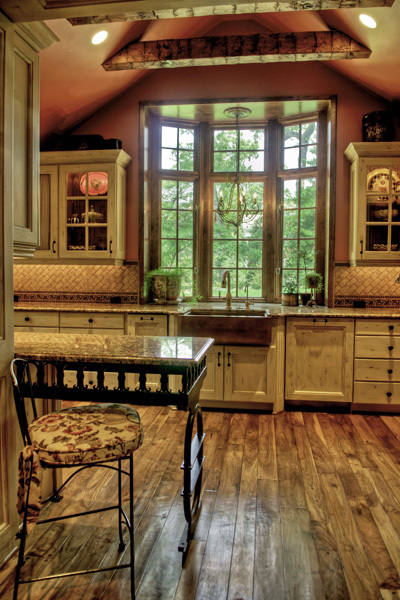 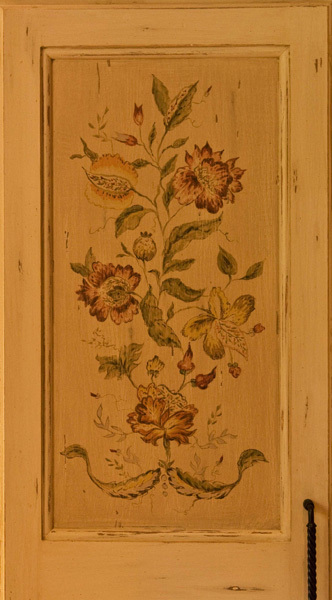 We incorporated many of the original cabinets, which were refinished; and added a large bay window and hand-scraped beams, some color, and some faux painting to achieve the look the client was searching for. 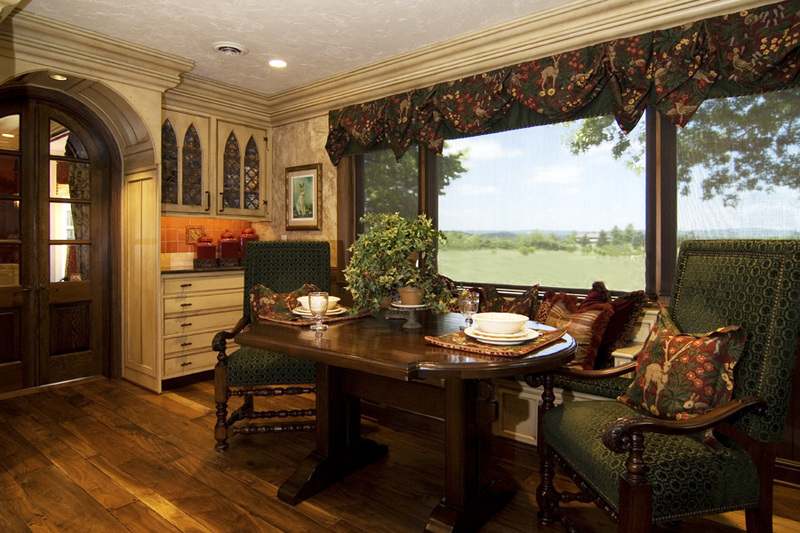 This couple moved into the husband's childhood home, located on the fairway of a local golf course. 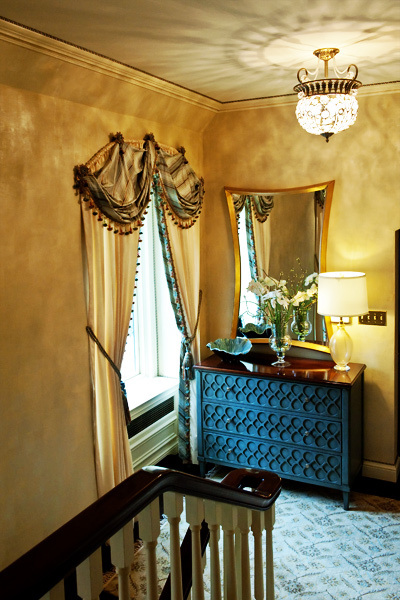 The house was enlarged and adapted to suit the new owners' needs - with warmth, openness and a great deal of care. 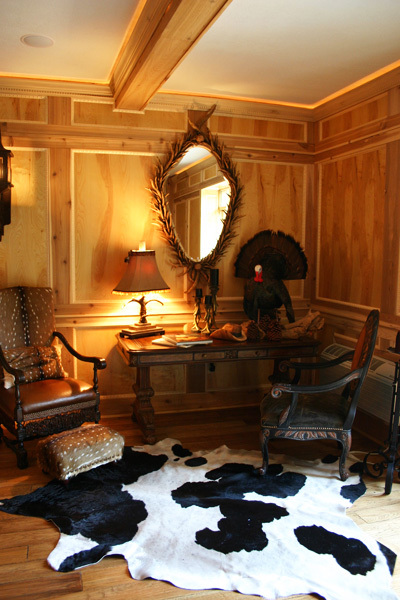 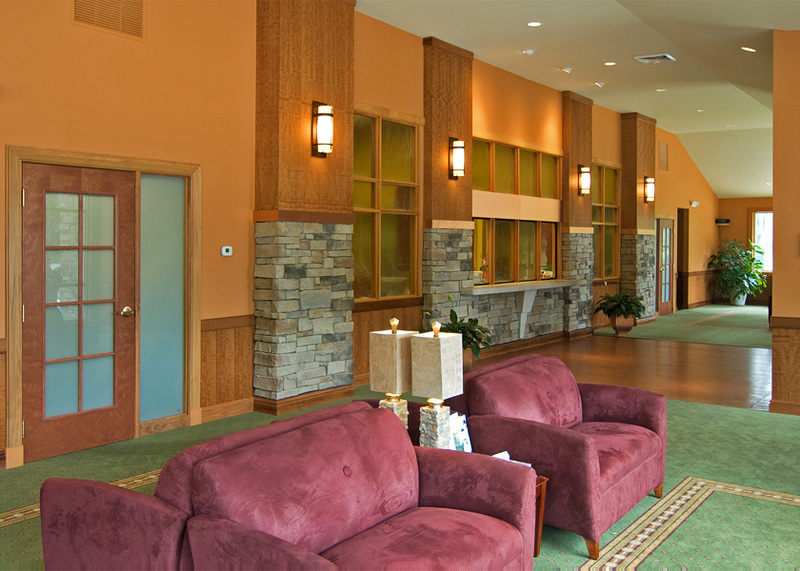 The colors, fabrics, and finishes were selected to resemble a lodge, but be fully functional. 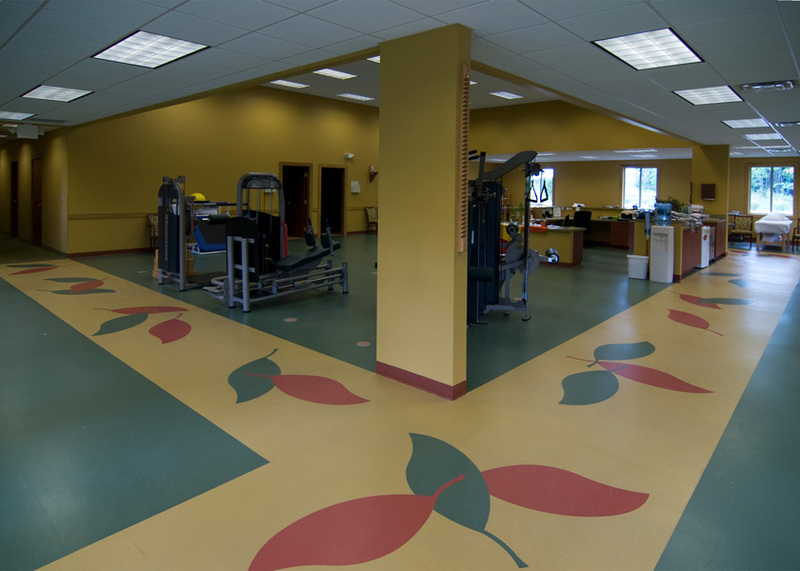 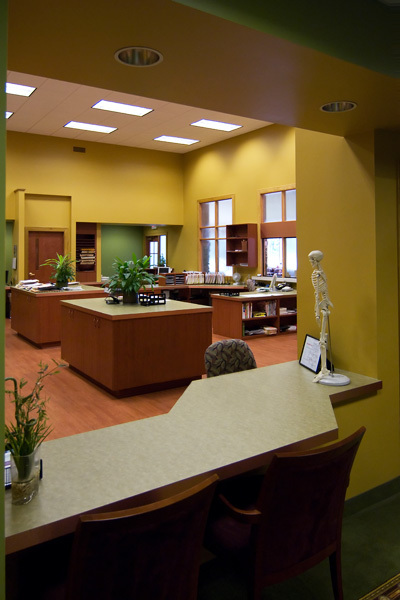 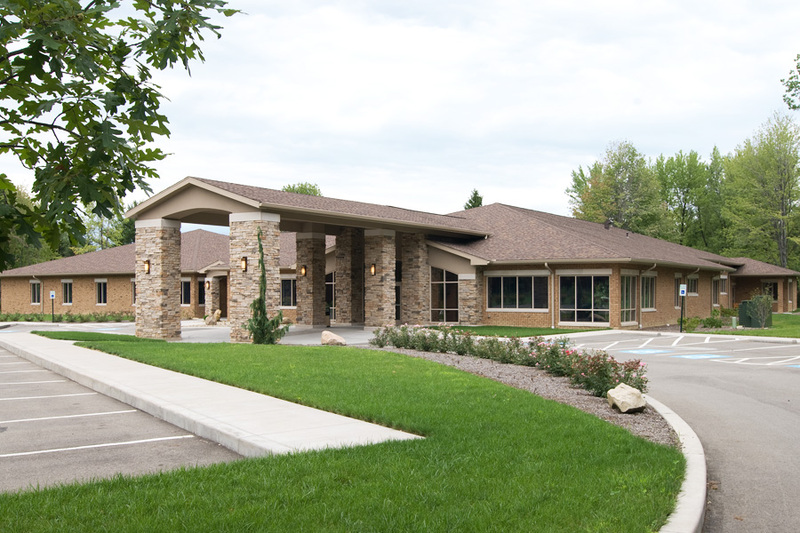 The center includes patient rooms, physician offices, general offices, x-ray areas, a conference room, a medical library, a staff lounge, and a full-service rehabilitation area. 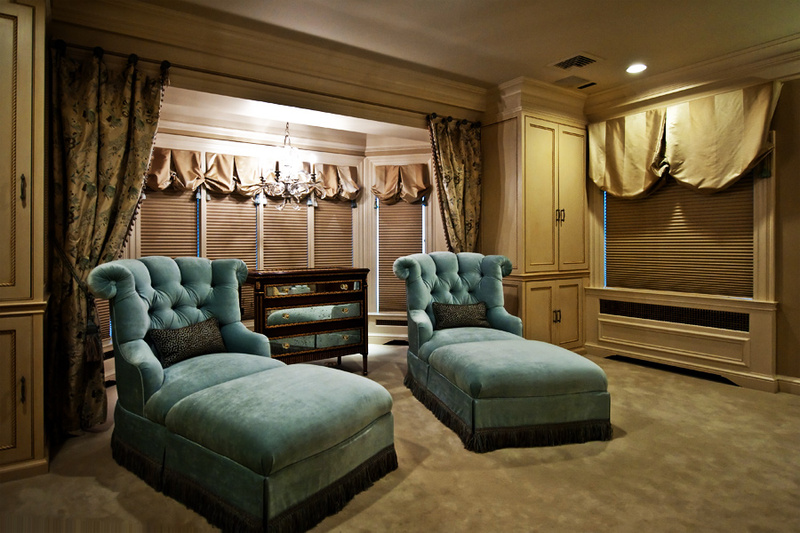 The custom designed ceilings in the powder room and family room - as well as the custom paneling in the study - add richness to this elegant estate, which is enhanced with the use of warm, tasteful fabrics. 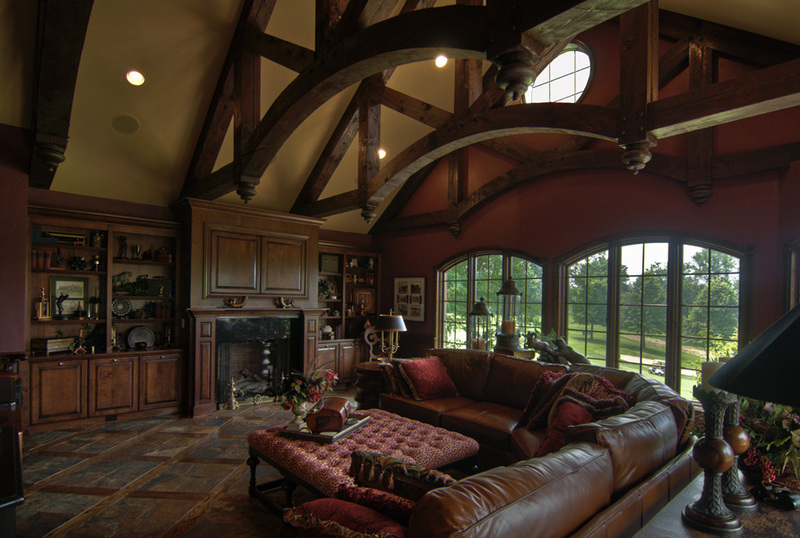 The home was designed to be luxurious, but also a place in which to relax and feel comfortable. 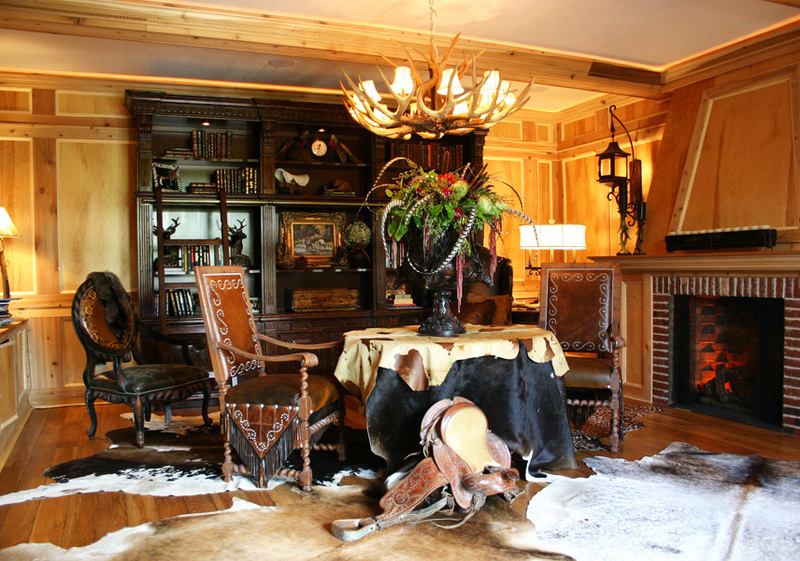 This Cowboy Cool home was designed with the owners in mind. 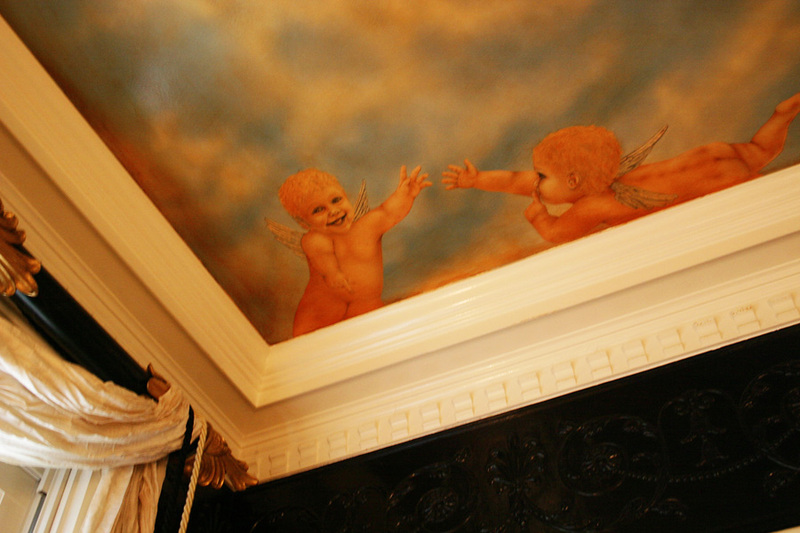 Wood paneling, leathers, and hides create a masculine feel, while the cherubs painted on a powder room ceiling add a touch of whimsy to the space. 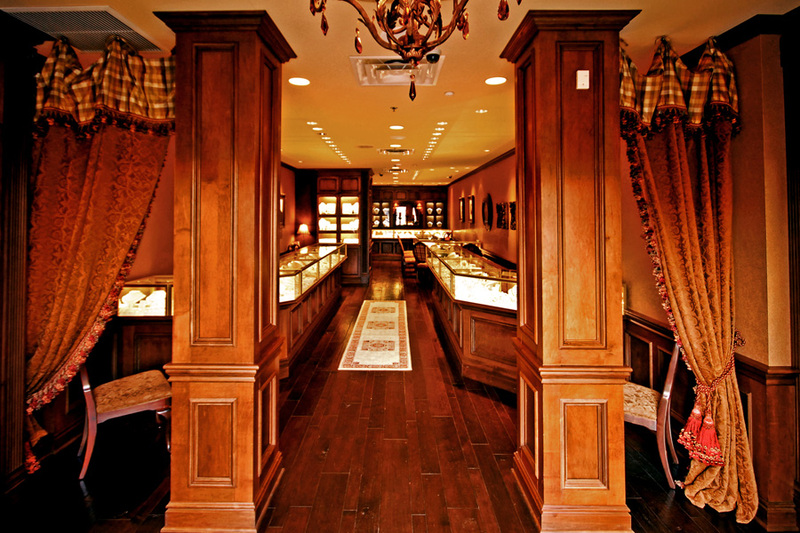 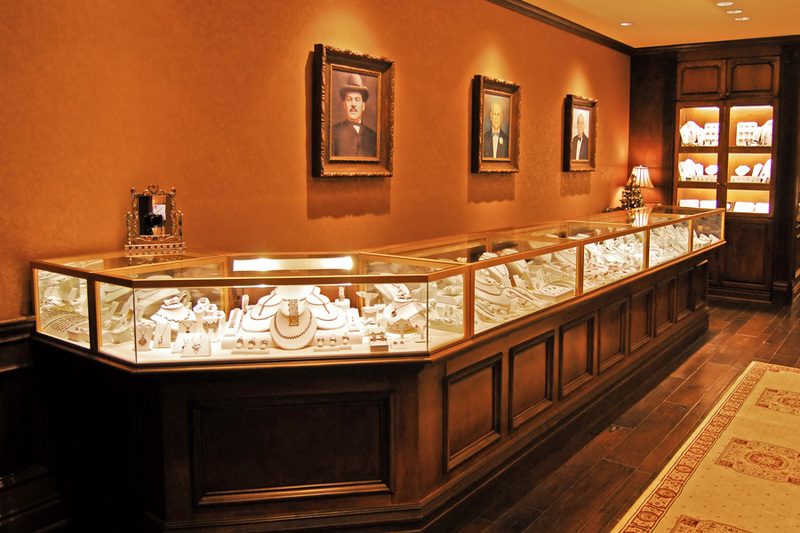 Warm wood, inviting colors, and soft fabrics were chosen to complement the jewelry cases - and the exquisite jewels they contain - in this family owned store. 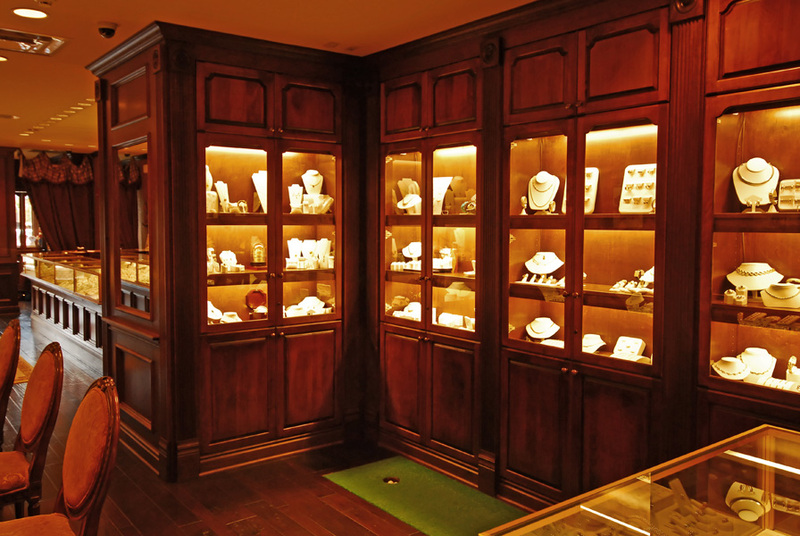 A putting green was also added for customers who wait as their partners search for the perfect jewelry. 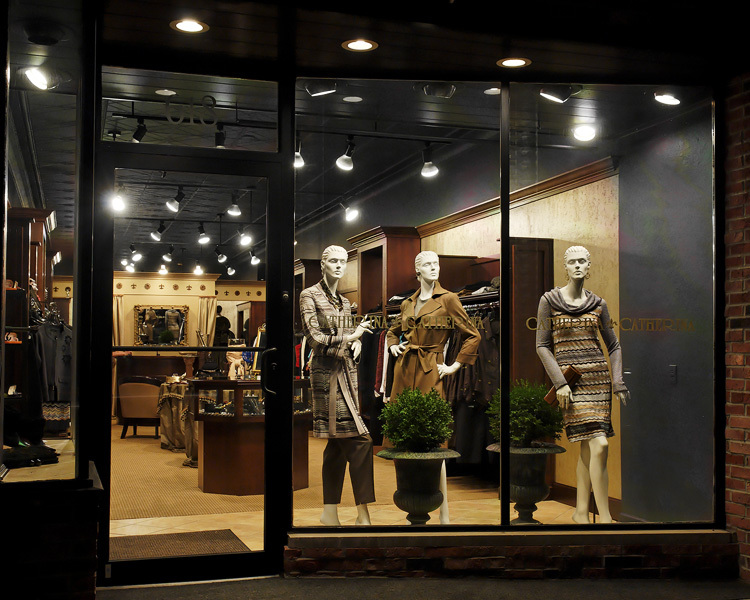 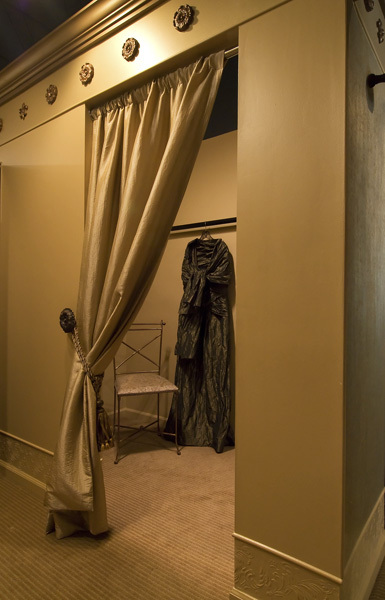 This upscale women's clothing boutique was updated with new wall coverings, carpet, paint, casework and furnishings to achieve an elegant look. 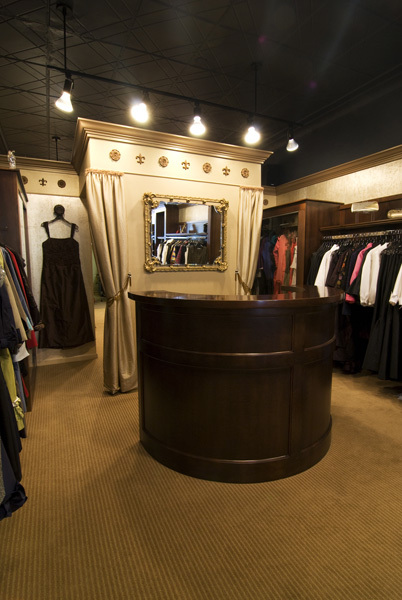 The elements were chosen to highlight the beautiful clothing and accessories on display. 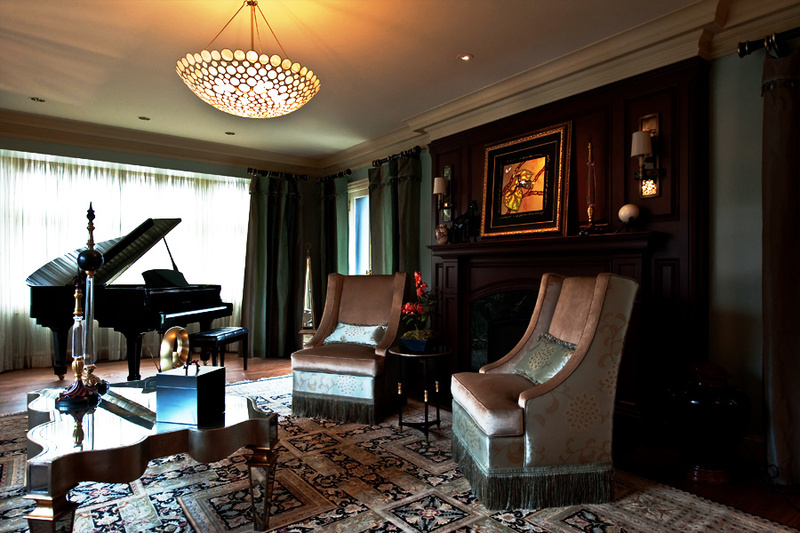 This home, belonging to a family of 4, is located along one of the most beautiful streets in Murdoch Farms. 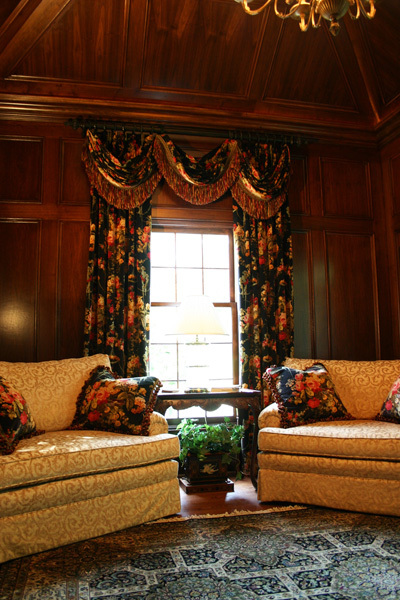 This young family yearned for a transitional yet formal setting to keep in step with their stately, elegant home. 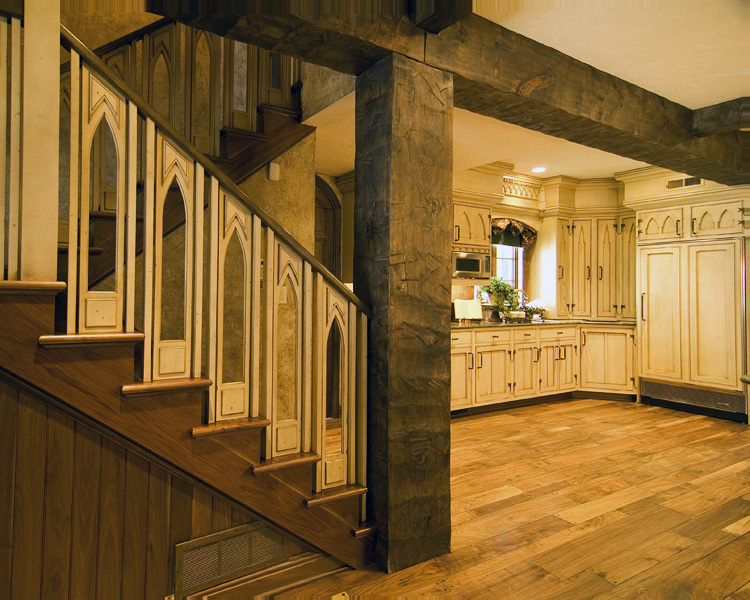 Great consideration was given to different architectural elements throughout the home, and these elements were enhanced to fit the progressive nature of the couple. 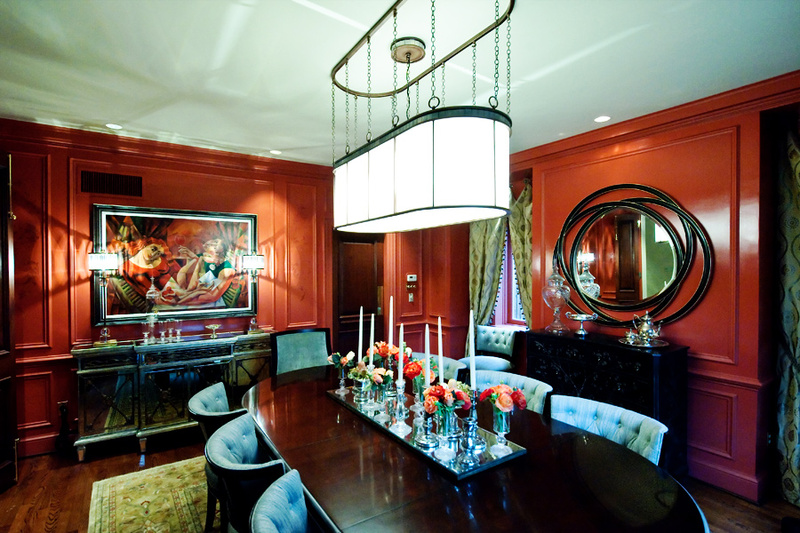 Thoughtful selection of colors, fabrics and use of light were used to keep the space vibrant and interesting. 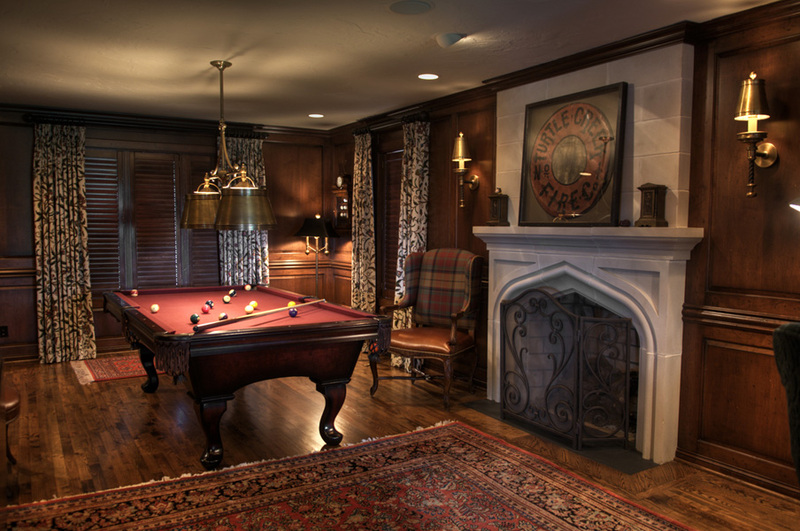 Many areas throughout the house were renovated to provide this couple and their family with a beautiful, comfortable and stylish place to call home!